Whether you’re after live music, weird installations or a family friendly adventure, we made three maps to help you navigate your way around. Yand Fudong at ACMI. Image: Yejiang The Nightman Cometh, courtesy of Yang Fudong, ShanghART Gallery and Marian Goodman Gallery. Now in its third year, all-night arts festival White Night Melbourne is expected to draw more than half-a-million people to the CBD this Saturday night. We’re dedicated to helping you get the best out of the festival (make sure you check out our highlights guide and list of CBD restaurants open late), so we’ve created three handy maps to help you find your way around Melbourne’s biggest nocturnal event. Tip: If you have kids and want to avoid the crowds, why not head in early in the morning? Get a good night’s sleep and go in around 5am. The big crowds will be gone and you can catch the sunrise. For those with children or who are after a swift visit to avoid the crowds, here are the top events the whole family can enjoy. 4 Elements explores the four elements (earth, water, fire and air) through an enticing display of music, lights and dancing from members of the National Dance Company of Portugal. They will interact with the colourful projections via a green screen. Fans of Lewis Carroll’s classic novel, Alice in Wonderland, should give the State Library a visit for a sensory wonderland experience projected onto its façade. Then head inside to view Eat Me, a 360-degree projection in the Library’s Dome. One of White Night’s most recognisable features, Wonderland is a display of colourful projections on iconic Flinders Street landmarks (between Russell and Elizabeth Streets). This year’s display is grander than ever, taking over whole streetscapes. Curated by ACMI and the Melbourne International Animation Festival, this family friendly program features colourful visuals, surreal shape shifting, sailing pigs and high-diving giraffes. 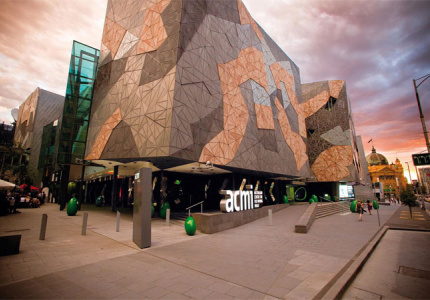 The permanent exhibition at ACMI spans 110 years of the history of moving image. Screen Worlds explores film, television and digital culture through 30 hours of moving-image content. Come here to escape the crowds. Let out your inner muso and test your creativity at The Beat Box, a room equipped with recording equipment and odd musical instruments. The public is invited to make music, contort their recordings and add samples to create truly one-of-a-kind sounds. Witness the banks of the Yarra transform into Melbourne’s answer to Little India. Australian Bollywood star Pallavi Sharda will visit the precinct, which will feature a floating stage with Bollywood and Bharata Natyan dancing. Murals, Indian street food and Indian-inspired world music will also be on the cards. To celebrate Cirque du Soleil’s current tour of Melbourne, a seven-metre-long inflated turtle will swim majestically above the crowds at Alexandra Gardens. Combining music with horticultural technology, Circles of Light offers Melburnians an interactive, multi-sensory experience with flora. The installation involves plants lighting up at the presence of touch, accompanied by subtle music and lighting changes to alter the mood. A popular display in past international appearances and inspired by chronophotography (a Victorian-era photo technique which captured movement in several frames), illuminated stick figures will take over the front of the National Gallery of Victoria and perform choreographed dances to music. Feel like having a boogie? This is where you’ll find the party on White Night. 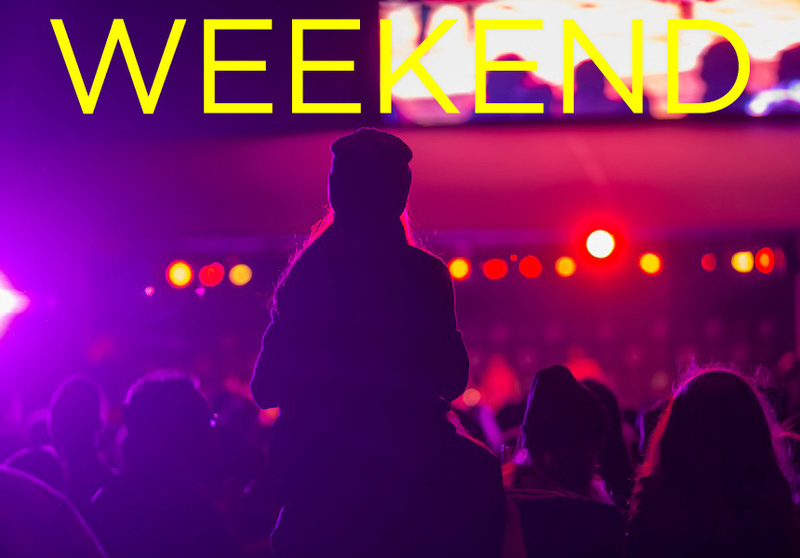 Here you can get down to awesome music by local musicians in a range of world styles, from tropical space music (it’s a thing) to afro-beat and South Sudanese hip-hop. Briggs, Ngaiire, Bobby Singh and Jeff Lang, The Public Opinion Afro Orchestra and Kira Puru are some of the artists performing. Remember last year when several thousand people did the Single Ladies dance in unison? Supported by Ausdance Victoria, this crowd favourite has been a part of White Night Melbourne since its inception. Pick up some new dance moves taught by professional dancers and community performers, from Ukranian folk to the Melbourne Shuffle. Head to the Forum to unwind and listen to smooth tunes from our best local jazz artists such as syncopated dance orchestra The Cairo Club Orchestra. Also performing are Tijuana Peanuts, Movement 9 and Los Cabrones, among others. ACMI’s gallery, the vibrant Lightwell, will once again transform into a music and dance space for White Night. A variety of well-known VJs and DJs will perform throughout the night, with many playing homage to David Bowie in honour of the upcoming ACMI Bowie exhibition(link). Cut n Paste, Edd Fisher, CC Disco, Andras Fox, Richard De Souza and VJ Radiance and more will play sets. Melbourne’s often considered the busking capital of Australia, so it’s only fitting that an event be dedicated to our best street performers. Talented circus troupes, singers and comedians will be performing all night along Southbank. The premiere stage for live music will host a number of talented artists you need to know about, including Total Giovanni, Remi, Jack Ladder and the Dreamlanders and Chela, just to name a few. Cinema buffs and the artistically inclined won’t want to miss out on these screenings and exhibitions. RMIT Gallery is hosting a collection of 18 pieces from local and international artists and will be open for the duration of White Night. The collection focuses on artwork inspired by the past and uses an interesting range of media styles, from photography to 3D printing and robotics. This exhibition sheds lights on the little-known history surrounding Melbourne’s cultural bohemians from 1860 to now. To celebrate the Digital Writers Festival (February 11–22), the Emerging Writers’ Festival is making a magazine from start to finish over the 12 hours of White Night. The process will be projected live on screen and guests can participate and contribute their own material. This performance, drawing and sound installation showcases the work of artists, giving Melburnians an insight into the processes of making art. Chill out in Bourke Street Mall and watch one of several of the short indie films and mini documentaries being featured. Combining street and animated projection art, Exodus is a work with mythological undertones that explores the transformation from human to animal. A collaboration between projection artist Yandell Walton and street artist Kirrily Anderson. He might be best known for his work in horror, but Vincent Price had a colourful film career and has starred in a variety of genres. ACMI will be screening almost every one of his appearances, including in film, interviews, television appearances and photographs. White Night Melbourne will run from 7pm on Saturday February 21 until 7am on Sunday February 22. Most events are free, although some are ticketed. Check out White Night’s full program here.